Kristiana Gregory’s swashbuckling tale of a young boy’s encounter with a true pirate is being repackaged with a new cover. This high seas adventure is full of historic facts and nefarious characters. 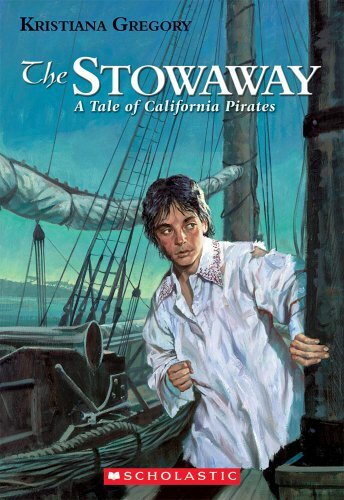 The year is 1818, and the coastal village of Monterey, California, is a peaceful home for 11-year-old Carlito and his family … until pirate ships appear on the horizon. Carlito and his friends are excited at first. They can’t wait to see what real pirates look like. But once the ships drop anchor, they attack. And on one terrible night, Carlito witnesses a murder – his father’s. When Carlito climbs on the pirate ship in search of revenge, the ship sets sail and he becomes a stowaway. Can Carlito bring his father’s murderer to justice? Or will he suffer the same horrendous fate?